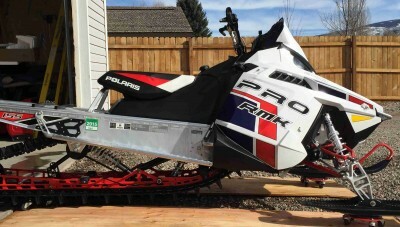 2014 PRO RMK 155 LE, 2 YR WARRANTY. This sled is in MINT condition, garaged after every ride. HPS can, defrost windshield bag, foot vents, Mtn addiction tunnel bag, under seat bag, brand new belt and black matte windshield. SNOWCHECK sled with Red Rails...Must see & Ride to apreciate!!! !